Do you ever feel like staying energetically balanced is a challenge for you? Maybe some days you even feel like you’re doing everything right … Like practicing meditation, eating healthy, exercising, committing to a spiritual practice, staying positive, and yet you still feel off-center? What I’ve found to be a trigger, that few people consider is EMFs, or electromagnetic frequencies. 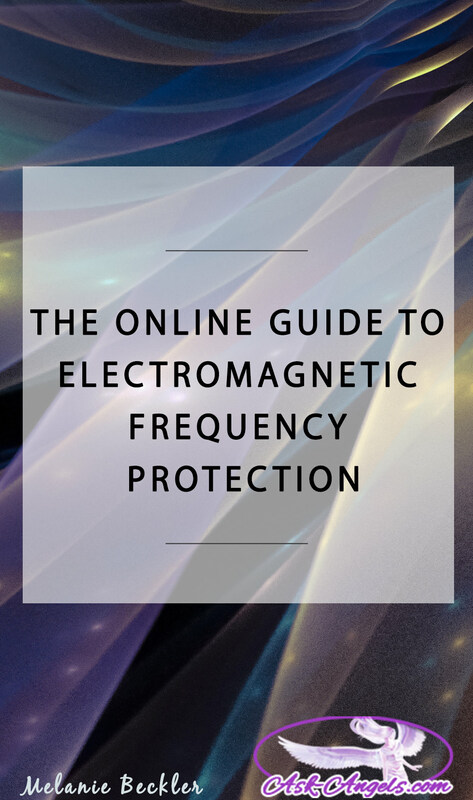 Introducing: The Online Guide to Electromagnetic Frequency Protection! As technology advances, so does your need to take simple precautions to protect yourself from some of its side effects. Some of the everyday symptoms of EMF overload include muscle and joint pain, fatigue, memory loss, insomnia, and difficulty focusing and remembering. It’s frustrating to think that all your efforts to remain connected and grounded are being sabotaged by EMFs. There are a number of ways to eliminate or reduce the electromagnetic frequencies around you – and though it’s impossible to eliminate all sources all the time, there are some incredibly effective steps you can take that you're going to learn about here. This free guide has been broken up into focused and concise chapters. Click the chapter titles listed below to jump to that chapter in the guide. Alternately, you can just keep scrolling down to read this guide in it's entirety now. Chapter 1: What Are Electromagnetic Frequencies? Everything that’s natural in the universe has an electromagnetic field (EMF). So does all the electronic technology created by humans. The energy generated from the EMF’s of your cells is part of what makes life possible. Without it, your body wouldn’t run. The difference is that natural EMF’s are low in intensity while the EMF’s produced by technology are quiet intense. In all forms, this energy is measurable and very real, though, of course, we can’t see it or hear it. One thing is certain though, if you live where there is cell service, wifi, power lines, or microwaves… You are exposed to high intensity, artificial electromagnetic frequencies. Your body is incredibly sensitive to the intense EMF’s created from modern society. Power lines, microwaves, computers, cell phones, and other electronic devices all create EMF’s. It’s virtually impossible to avoid these fields in modern life. The more you are exposed the more damage can be done. If you find that your sense of groundedness and balance are regularly being affected, EMF’s could be a cause, and elextromagnetic freuqnecies can actually cause healthy challenges too, especially for those who are extra sensitive to electromagnetic frequencies. The good news when it comes to artificial high intensity EMF’s is that there are a number of steps you can take to reduce your risk, lower disruptions to your natural energy field, and so, feel better. Below is a list of the things I’ve found to be the most successful and the easiest to implement. Balancing your energy is very important, because the reality of our world today is that avoiding harsh electromagnetic frequencies is nearly impossible. Spending time in nature is a great way to detox from EMF frequencies. Go for a walk or hike in the trees or on the beach if you can. Live in the city? Switch your phone into airplane mode and head to the park! You can also bring nature into your home too in the form of plants and crystals. Actually sleeping with plants and crystals by your bedside is a great way to detox from electromagnetic frequencies while you sleep, but more on that in the bedroom sanctuary section! Really, there is nothing like good old-fashioned dirt for getting connected to Mother Earth. Get outside and put your feet on the Earth, close your eyes and ask to feel her inherent rhythm. Sit down, smell the grass, hug a tree! Simply spend time outside, away from the concrete and electrical devices that so often surrounds you. Keep in mind, there's nothing specific you need to do outside for this to work. In fact, sometimes just doing nothing is the best thing you can do. Switch off your phone, step away from your computer, head outside and just be. The more you do this, the more your own rhythm will reflect Mother Earths, the more you'll be open to the new ascension codes and higher dimensions of light available to you, and the better you’ll feel. Crystals are the perfect modality for grounding yourself and clearing out negative energy. I’ve written a number of posts about using them for cleansing your body and your home from negativity, and they are also very effective when used against EMF’s. There are a number that are specifically effective in dealing with EMF’s. Look for Charoite, Sodalite, Salt, Amethyst, Fluorite, Green Aventurine, Ruby, Unakite, Black Tourmaline, and Selenite. 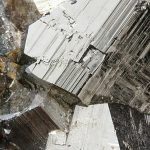 Crystals are hugely powerful for using subtle energy to put a sort of shield around you, and to counter balance intense frequencies with gentle, nurturing, and natural vibes. Eating fresh, and whole “real food” is a great way to detox from electromagnetic frequencies and keep your energy vibrant and strong. Fresh, real, minimally processed food creates a completely different vibration in your energy field than the standard American diet. Some good choices to incorporate are artichokes, walnuts, prunes, cinnamon, broccoli, cilantro, cranberries, asparagus, and red beans. You are what you eat, so when you eat nature, you are nature. When you eat artificial stimulants, your energy signature becomes weak, dry, and disconnected. There are a number of superfoods that lessen the effects of EMF, including iodine, spirulina, melatonin, B-complex vitamins, D3, tulsi, zinc, and noni. Cleansing and detoxifying your body with pure water and fresh healthy foods can help to counteract being exposed to EMF’s. When you sleep, your body naturally detoxes from electromagnetic frequency. The challenge with this is, if you sleep with your phone by your head, it totally is counterproductive to that because you are exposed to those frequencies all night. So, keep electronics out of your bedroom if you can, turn off your Wi-Fi at night, and turn your phone on airplane mode. Nighttime exposure to EMF can be particularly impactful simply due to the length of time you’re sleeping. Sleep is such a fundamental part of your physical, mental, emotional, and spiritual well-being. Your body does its most critical healing work when you’re sleeping, so every small advantage that you give yourself at night is crucial to balance and good health. EMFs are also known to interrupt your sleep cycles and prevent your body from detoxing, and regenerating. Consider getting rid of the cordless phone in your room as well as your cell phone. Both emit and receive all night long while you sleep. If you typically use your cell phone as an alarm clock or to listen to meditations before you sleep, be sure it’s on airplane mode! And though it may be a big adjustment, consider removing your television, stereo equipment, compact fluorescent light bulbs (LED lights are a positive alternative), and electric blankets from your bedroom sanctuary, and replace them with a plant or crystal! Turn off your Wi-Fi at night when you aren’t using it and avoid bright lights during the two or three hours before sleep. If you don’t already, I recommend using an app like Flux to shift the lighting on your computer after dark, and use the nighttime setting on your phone. Also, you may want to pull your bed away from the wall, so that you have a buffer between electrical frequencies that run through the walls. Next time you’re in the market for a new mattress consider buying one that is organic, chemical free, and has no metal springs and coils. Wooden frames are better than metal when it comes to EMF protection. Grounding is an incredibly powerful way to counteract electromagnetic frequencies. Grounding isn’t something you do once, but is most effective when done consistently. I recommend practicing grounding each morning when you wake up and each time you’re about to leave the house. Here are a couple of simple grounding practices you can do anytime to reconnect with the earth, ground your energy, and positively shift your vibration in the moment. First, stand comfortably and make sure your bare feet are flat to the floor and your weight is equally distributed between both feet. Hold your arms out to your sides at shoulder height (like your body is making a ‘T’ shape). Swing from side to side, twisting at your waist, matching your breath to your movements. When you begin to feel an energy surge moving up your spine, you’ll know you’ve tapped into your own natural energy field. For the second exercise, stand in the same manner, this time with your knees slightly bent. Inhale and lift your arms over your head as you straighten your knees as you lift up on your tip-toes. Exhale and lower back down to a starting position. Continue until you feel your energy is charged. Ask the Angels For Help! Archangel Metatron is saying that he will help to counteract intense EMF’s with the Metatron’s cube (the Merkova of light) whenever asked. Then focus inward and on the area of your third eye (center of your brow) to see and feel the energetic shift when Metatron places this shield of light around you. A lot like breathing, prayer helps with a number of life situations, and EMF is really no different. I’m not suggesting you pray to avoid EMF’s, but simply spend time in communion and communication with the Divine and angelic realm! When you do, your vibration will increase as will your sense of peace and calm. When you are in this kind of state on a regular basis, feeling gratitude, feeling stronger and connected, your natural energy will be boosted – a natural protection against electromagnetic frequencies. In any moment, you can quickly shift your vibration by calling in lots of light and angels, centering your energy, and filling yourself up with light. Find a comfortable sitting or standing position, close your eyes, relax, and focus your awareness inside, tuning out the external world around you and all the distractions that may be happening in your mind or in your physical reality. Just focus inward. 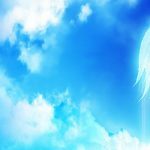 Focus on your breathing, and then as to be surrounded with your team of guides, angels, and ascended masters of the light who can most serve, with Divine presence, and with love and light. Still focused within, now imagine an orb of light around you. Next, feel your energy ground, flowing down in a column of light all the way to the core of the earth, where you are able to connect with the incredible, brilliant light at the center of the earth. Next, let this Divine light that you are One with, that is One with All, flow up, up along your spine, filling your body with light and continuing up above your head, into direct presence with the Divine. Imagine an orb of Divine presence, God light, Christ consciousness, Source energy above your head, the most brilliant light you can imagine, and see it pouring down… Light pouring in through your crown chakra, along your spine, and into the area of your heart. Feel your connection to the Earth below, the Divine above, and in the area of your heart, let your full light brilliantly shine. I’ve said it before and I’ll say it again: breathing is a powerful tool in your spiritual arsenal that makes just about everything better; including minimizing the impact of your EMF exposure. Any deep breathing that you do for other spiritual, mental health, or physical practices will also have a positive effect on EMFs. One exercise in particular that I like that comes from Yoga is called Breath of Fire. Sit in any comfortable position that allows your feet or your buttocks to be on the ground. Begin with one deep inhale through the nose and then exhale quickly and repeatedly without consciously taking an in-breath. Your body will naturally do this without effort on your part. Your awareness and focus should only be on the exhale. As you exhale move your stomach in and out to help you forcefully push the air out. Begin with 30 second rounds and increase to two minutes or more. Singing works in a similar way to consciously breathing by releasing incredibly joyful energy into the universe. Music even has the power to intensify the meaning of the words you sing. Look for chants, mantras, or hymns that you love and then start belting them out every chance you get. Not only does this strengthen your heart and throat chakras, but you’ll be better able to tap into your intuition and awareness of yourself as a spiritual being. The physical act of singing can help you to feel grounded and connected to the jubilant parts of your spirit. Attempting to completely avoid all EMF’s isn’t a practical use of your time, nor is it even possible… But minimizing your exposure is, and so is counteracting these frequencies with cleansing and positive energy. Simple things like putting your phone on airplane mode whenever you can and when you’re not using it will make a big difference, especially if you’re highly sensitive to EMF’s. Keep in mind that it won't ring when on airplane mode, but use this feature when you can. Nurturing the body in order to decrease your EMF sensitivity is a process that must be approached on many fronts. Develop an individualized body and mind nutrition plan, move your body as much as possible, and eliminate as many EMF triggers in your home as possible. Find a routine that works for you and allows you to feel balanced. By grounding and being proactive, you can stay spiritually centered despite chaotic modern life. I hope this is helpful for you… If you enjoyed this post, comment below and let me know your favorite part. Bravo! You’re EMF course is brilliant. I coach people with CPTSD and Highly Sensitive People. Sometimes they are only interested in the mundane. Once in a while, they are open to spiritual solutions. I will be recommending your site. Hi, What are your thoughts on Shungite to clean water? Melanie, what do you think of orgonite for EMF protection?